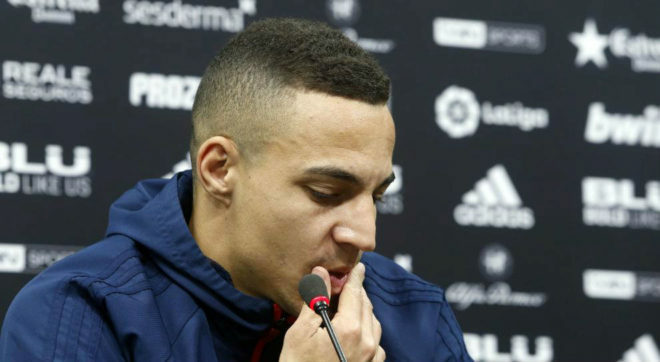 Still smarting from the 7-0 hammering at Barcelona‘s hands in the Copa del Rey, Rodrigo Moreno knows that his team will be knocked out again if they don’t contain Lionel Messi, who the striker believes is as impressive as ever. He was one of the few who played in the humiliating game when Gary Neville was in charge of Los Che. “Messi is as awesome as ever,” he said to reporters on Monday. “Barcelona are the overwhelming favourites in the league, in the Champions League and in the cup. “I don’t think we want to go looking for revenge, but it’s a special match because we play again against a powerful team. “Two years ago it was very unpleasant, one of the toughest days, without a doubt. Having been comprehensively beaten by Real Madrid, the striker was asked if that will affect Valencia going into the cup game. “Saturday’s game is over,” he continued. “I think the result was a bit deceptive, but we have to focus against another great rival. Spanish referees have come under scrutiny recently, but Rodrigo doesn’t expect them to negatively affect the tie. “I don’t think that the referee goes to the game with the intention of favouring anyone,” he noted.